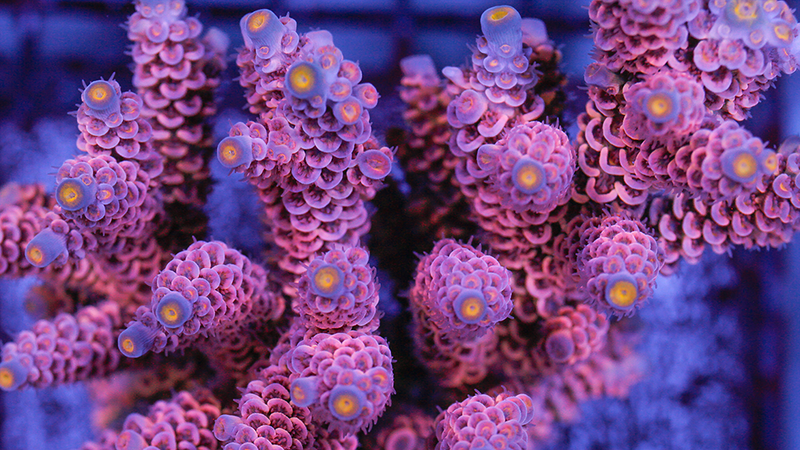 Acropora Corals are perhaps the most well-known and popular hard corals. With their beautiful coloration in many different shades and Shapes from branching to bushy, it isn’t hard to see why. As with most beautiful things, Acros come with a price. They are both somewhat expensive and difficult to keep. The good news is that with proper care they will reward the advanced hobbyist with rapid growth. For Acropora to thrive they require intents light, high intermittent flow and pristine water conditions. To maximize their growth rate, it is imperative to maintain proper pH, alkalinity and calcium levels, and to keep phosphate and nitrate levels as close to zero as possible. 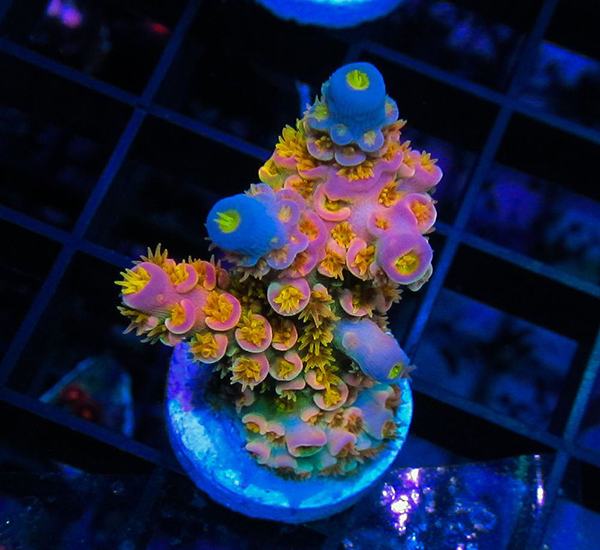 This coral receives the majority of its nutritional requirements from photosynthesis, but it will benefit from the addition of various types of phyto and zooplankton. Go easy on feeding so as not to increase nutrient and nitrate levels too much.